Brian Tighe and Friends is a USA based midtech group specializing in re-creating custom maker Brian Tighe's designs in an affordable, quality manner. Assembled by hand using Brian's original looks, curves and sleek lines. 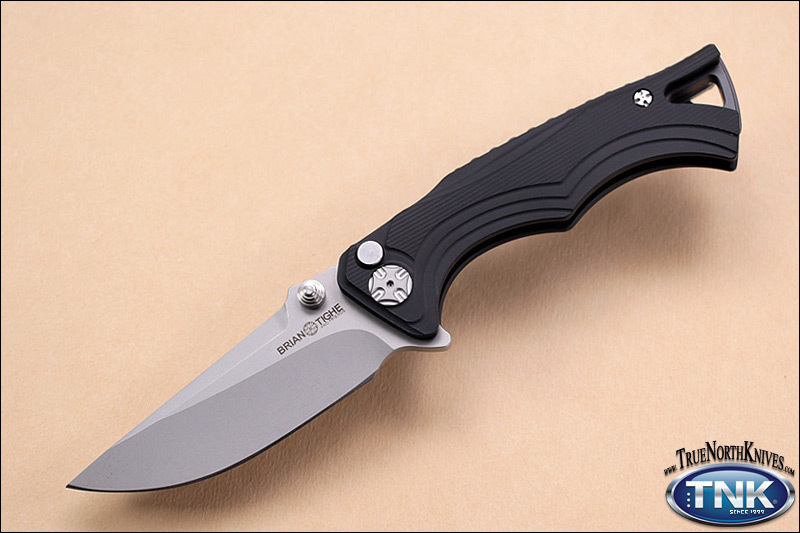 Made with USA stainless blade steel ambidextrous thumb studs or integral flipper mechanism deploy fast. Brian's Ceramic STBS (Sealed Thrust Bearings System) pivot and locks up solid with a button lock for optimal performance.